Written by D. Thomas / G. Massey. Remixed by G. Goddard aka Cherrystones. 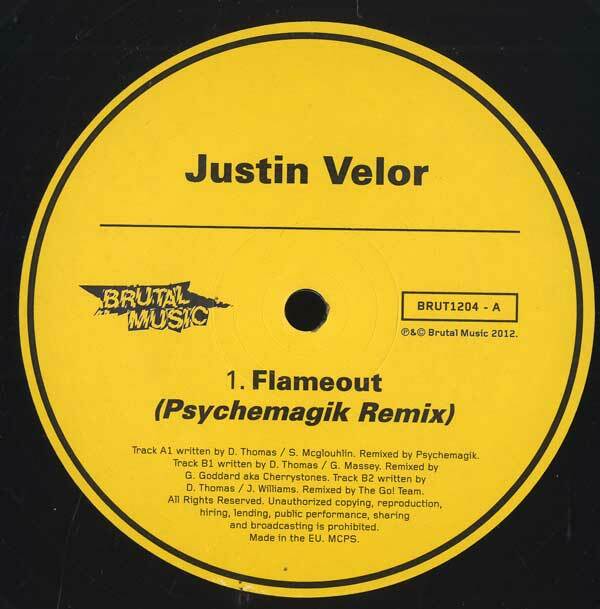 In February Brutal Music release Justin Velor's '2013' album. '2013' is his debut outing & was produced in collusion with 808 State founder Graham Massey & Doves frontman Jez Williams. The album also features an unlikely marriage of collaborators including Teenage Fanclub's Gerry Love, Lee E John from 80's soul sensations Imagination & Chris Geddes, one of Belle & Sebastian's leading lights. As a taster Brutal Music offer up 3 remixes of tracks from the album. First in line is a Psychemagik remix of 'Flameout'. The magik duo produce a smouldering, hypnotic piece of cosmic dub. Super-weighty bass rolls under wood block keys & percolated guitar. A deflty deep & chuggy affair and a perfect accompaniment to any sunrise ( preferably with a bottle of tequila in hand ). Cherrystones takes things darker, stripping down the electronic psyche of "Oscilations" to it's bare bones. As is his bent he subjects the drums to a strict inspection whilst swathing the track in layers of threat & distortion. Its a Silver Apples record melted down and hammered into a dangerous weapon.The Go! Team finish things off turning 'Galiano Rocks' into an unstoppable rock'd-up garage freak-out. Jangling guitars rattle against ripped drums and a wailing vocal. 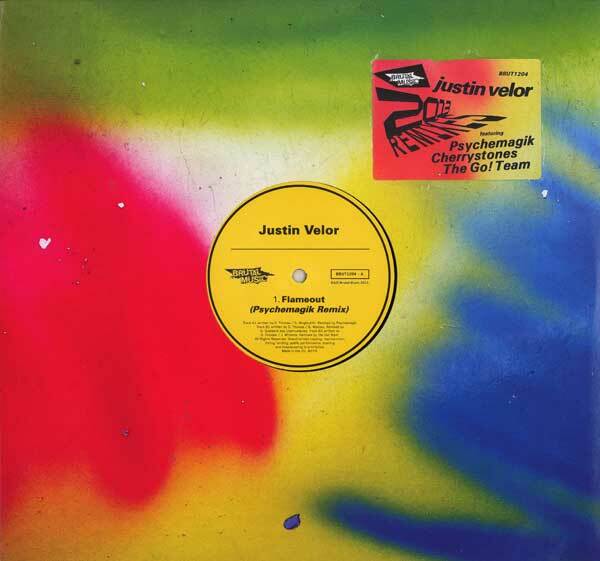 Three tracks perfectly encapsulating the Brutal Music sound & an irresistible taster of what's to come from the Justin Velor album in the new year.